Hilltop Hoods is a hip hop group, formed in 1991, from Adelaide, South Australia, Australia. Their name refers to Hilltop Road In Blackwood, an Adelaide suburb in which they lived as children, and a part of Adelaide known by all the local B-Boys as The Hilltop. One day, another local rapper, Flak from the Cross Bred Mongrels, said that's what they should call themselves, and the name stuck. The group formed when MCs Suffa and Pressure met at high school. When they later hooked up with DJ Debris through a mutual friend, the trio was complete. The group formed when MCs Suffa and Pressure met at high school. When they later hooked up with DJ Debris through a mutual friend, the trio was complete. They were inspired by American hip hop artists such as KRS-One, Gang Starr and Pete Rock, who encouraged them to spread this style of music in Australia. The Hilltop Hoods have released eight successful recordings - Back Once Again (EP - 1997), A Matter of Time (LP - 1999), Left Foot, Right Foot (LP - 2001), The Calling (LP - 2003), The Hard Road (LP - 2006), The Hard Road: Restrung (LP-2007) ,State Of The Art (LP - 2009) and Drinking From The Sun (LP - 2012). The Calling achieved gold status in Australia (35,000+ copies sold), the first hip-hop album to do so. Two tracks (The Nosebleed Section and Dumb Enough) received places in the Triple J Hottest 100, 2003, at 9th and 44th respectively. The Nosebleed Section also came in at number 17 in the Triple J Hottest Hundred Of All Time, making it the highest ranked Australian song on the list, and the only hip-hop track to make the cut. LP The Hard Road also topped the Australian charts, another first for Australian Hip-Hop. Aside from their own albums, they have featured on a number of highly respected compilation albums, including Obesecity and Culture of Kings Vol. 1 & 2, and have collaborated with most of the main players of the Australian hip hop scene including Koolism, Mass MC, Pegz, Muphin, Layla, Hyjak and Bonez. They have played many large Australian music festivals, including the Big Day Out, Splendour in the Grass and Falls Festivals. 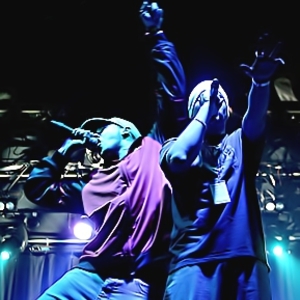 They have received nominations for the Best Hip Hop Act in 2001 and 2002 at the 3D World Dance Music Awards, won the APRA award for best up-coming group as well as receiving number one positions in independent charts all around Australia.